Ups and Downs: Welcome to Jamaica! In 2 days, I will have officially been living in Jamaica for one month. It seems as yesterday that we were all together at training in Ottawa preparing for departure. 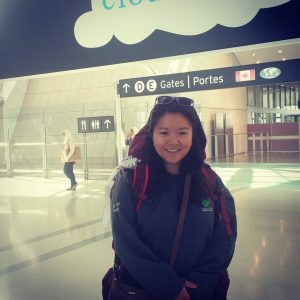 I came onto this internship because it was the next step for me to figure out whether I can adapt into a new country, in a new culture and in the unknown. I had no clue what to expect because my past travels have always been safe destinations where I had friends and family. Jamaica is an island country situated in the Caribbean Sea and is a commonwealth realm. It has over 2.8 million people with Kingston as its country’s capital and largest city. Jamaica is known by others as the tourist destination for the beach, the falls and lagoons. It has hot, humid tropical weather all year long and is known for its music (reggae), spices, and one love culture. Knowing this, everyone has been asking me- How is Jamaica? How is your internship? Is it sunny? How’s the food? – I won’t lie. It has been a difficult transition. Ups and Downs is how I explain it. From the first day that I arrived, it was a big whirlwind of challenges. The moment I came into Jamaica, I was held by security which from that- you know it was going to be a rocky start. After everything was situated, we managed to get our bags and head to the apartment. I had my living accommodations set up by our host organization, Caribbean Vulnerable Communities’ (CVC). We got to the gate and the security guard would not let us in because we had no clue whom our landlord was, what unit number we were and they had no records of us arriving. Thankfully, Ms. Chin See (our CVC contact) was waiting in a car for us in the parking lot and realized the ruckus at the gate was us! The first two weeks were extremely difficult for me because we were given many warnings about walking after 6 pm, looking like a foreigner, and catcalling everywhere we went. I am very used to walking around my neighbourhood at 11pm or 2 am without feeling I was in danger. Here- everywhere I go, I have found myself being stared at and catcalled constantly which made me nervous to go out on my own (on a side note- everything pretty much closes by 6 or 7pm so there really is not much to go out to). But- that is normal. When you are in a new country with no one you know, you have to expect these types of challenges. You have to learn what is okay and what is not okay to do. What is important is how you will treat this challenge. Will you adapt or will you stay scared? I’ve taken baby steps into making myself feel more comfortable. I have gone from motivating myself to go on a short walk to Devon’s House across the street for ice cream by myself to exploring areas such as Halfway Tree on my own. My biggest changing moment was when I tried to find the CBA one Wednesday evening. The CBA was holding an opera and dance show which I thought would be super cool to see. I decided to walk there because google maps said it would only take 30 minutes and it was bright out. Wrong decision. I got super lost. I walked and walked for an hour and a half in an area I had no familiarity with and my phone was not working. Google maps did no use because what is portrayed on the app did not reflect what I saw. I asked for directions five different times whom all gave me the wrong directions. Finally, an individual brought me to a police officer because he knew I was completely lost and I burst into tears. I couldn’t help it. Everything from feeling homesick to feeling frustrated came out. Although I made it to my end destination after the police officer directed me to the right direction, I won’t forget what he said to me before I left. “ Its not easy being in Jamaica, especially that you are not from here. But you must learn. Tears do you no good. 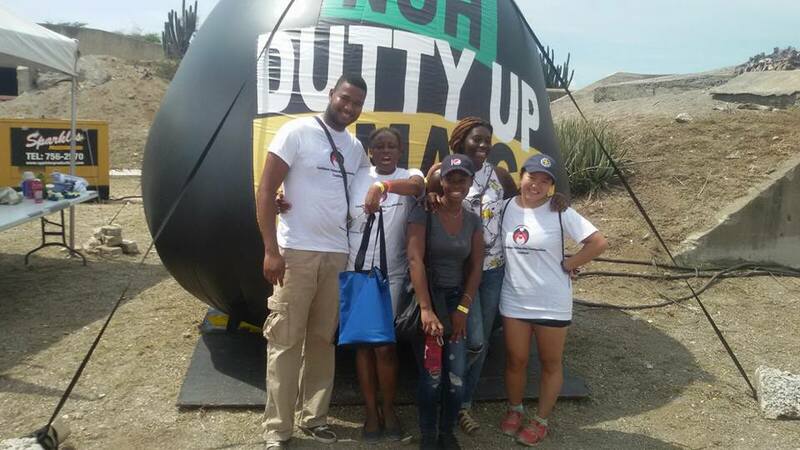 “ I’ve kept this moment with me since and it has motivated me to really adapt to the surroundings and Jamaica culture. Dare I say- but it is starting to feel like home! But – like I said, it has been a big whirlwind of challenges in these last few weeks. We had another challenge thrown right into us last week – Hurricane Matthew. This is one of the moments when you realize how important it is to pay attention during pre-departure training because even though you might think that some of the situations are unthinkable- and it would never happen to you- it could, it will. During our second week here, we started hearing reports about a hurricane approaching but everyone in the office did not seem too concerned. Each day, there were more reports of it growing bigger and bigger. A couple days before the weekend approached, I started noticing the staff asking me if I was prepared and if we had enough canned food/supplies. On Friday, our office had a staff meeting and we were told to shut down operation for the day to board up and prepare for the hurricane. This is when I realized that it was time to start preparations. We went to buy supplies as the stores would be closed during the Hurricane. The news started showing large headlines like “The end is coming! Hurricane Matthew is SERIOUS!” I called my parents about the situation and they told me- get a pot to protect your head and have your Canada flag with you. They are used to natural disasters, coming from Taiwan where earthquakes and typhoons rage all year long. During the hurricane I stayed at a friend’s house and we kept ourselves updated with the situation through television channels. Jamaica TV includes news channels from Canada, USA, United Kingdom and Jamaica. We were astonished with the difference in reports from other countries vs Jamaica National News. The news reports from Canada that my parents sent me had stated we lost power, there were flooding in Kingston (where I was located) and the hurricane had hit the island but what actually happened was the hurricane decided to change its route and completely avoided Jamaica. There are areas in Jamaica that did have damage from the Hurricane from the tropical storm warning but it was not to the extent of what was reported in the media. For example, a rumor was started that the power was going to be shut off. On Twitter, there were countless tweets of panicking about losing electricity and power. The electricity company had to make a public announcement that the rumor was false. They had no clue why and how the rumor started and kept making announcements that they were monitoring the situation but they were not scheduling a power outage. People look to the media during natural disasters because it is a way to communicate the situation. The issue at hand is- how credible is the information being passed around? Although this situation could have been a complete 180 as we saw the damage Hurricane Matthew has done to Haiti, it is disappointing to see how other countries portrayed the storm in Jamaica. This event has made me question what I see and read on the news every day. This does not mean you should ignore a hurricane warning because you should ALWAYS prepare. Natural disasters aren’t something to take lightly. Just make sure you get your facts straight about the situation. Staying aware is the key to success. I am excited to continue sharing my experience through this blog and read about my fellow cohort experiences. Each of us are going through something different and not all of us will have the same perception of our internship- but that is the beauty of these opportunities because we will learn so much from each other and our host countries. Tara is a recent graduate of the University of Western Ontario in London, Ontario, Canada. 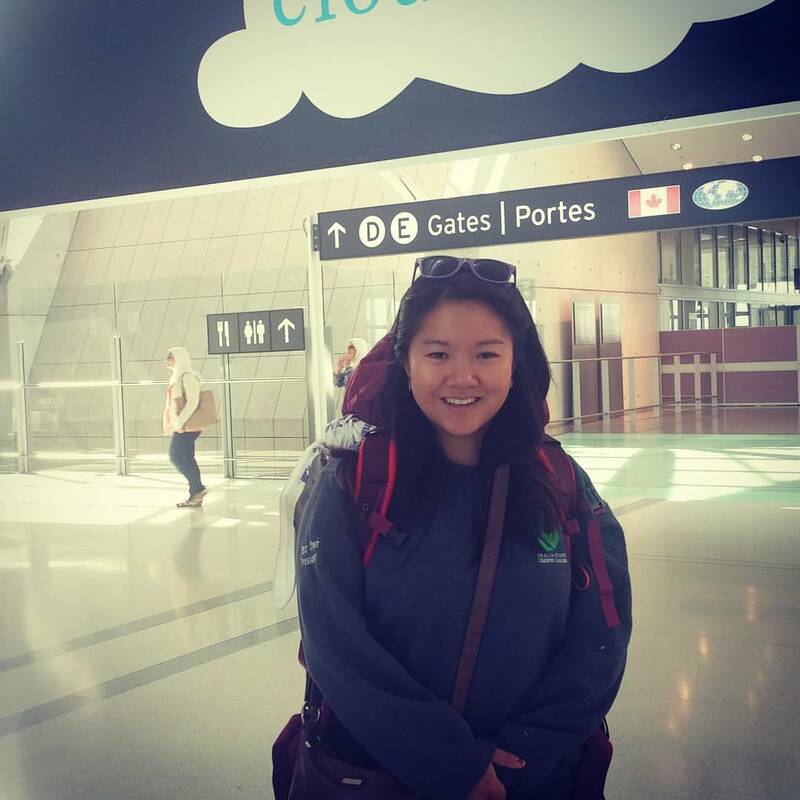 She was born and raised in Cambridge, Ontario with a great ambition to work in an international health setting. 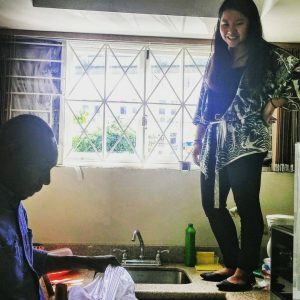 Tara is excited to share her experience abroad in Kingston, Jamaica and hopes to inspire others to partake in these programs. This entry was posted in IYIP 2016-2017, Jamaica. Bookmark the permalink.